Here’s an interesting social network concept device. 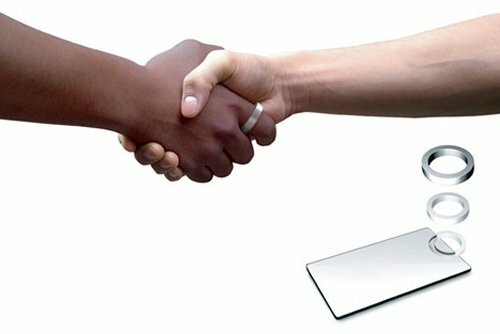 The handshake ring is like one of those James Bond gadgets, where you shake hands with your secret spy contact and instead of passing money or a secret note, you exchange digital contact details. 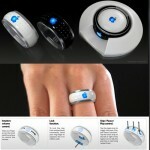 The rings exchange and store your information automatically for you to browse through later using the card. The power used to operate the ring is generated from the users body temperature so no plug or batteries are required. The more people you meet the more information will be stored, while you expand your social network. The handshake is the customary greeting after all, so this device makes sense.